Born and raised in Sao Paulo, Brazil, Caroline has worked on topics around social responsibility since the age of 19. While doing her degree in communication at College ESPM, she worked for an NGO called ESPM SOCIAL. After graduating she worked with one of the biggest green cosmetics companies, Natura. She is currently working with Atados, the biggest volunteering website in Brazil for social impact projects. 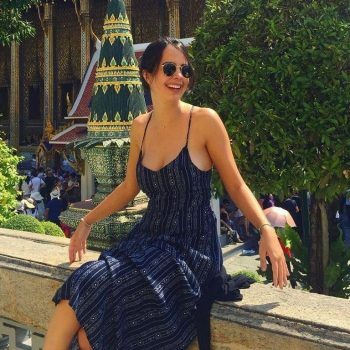 Caroline spent time living in England and Thailand, where she was an English teacher in a high school. She is committed to building her career focusing on creating social impact, which is why she has chosen to do her post-graduation with Amani Institute.